Back in the days of the Old West, the frontier was a rough-and-ready kind of place. It''''s also a pretty apt way to describe the 2012 Nissan Frontier. In practical terms, that means this compact pickup can handle the rough conditions a truck owner is likely to throw at it. 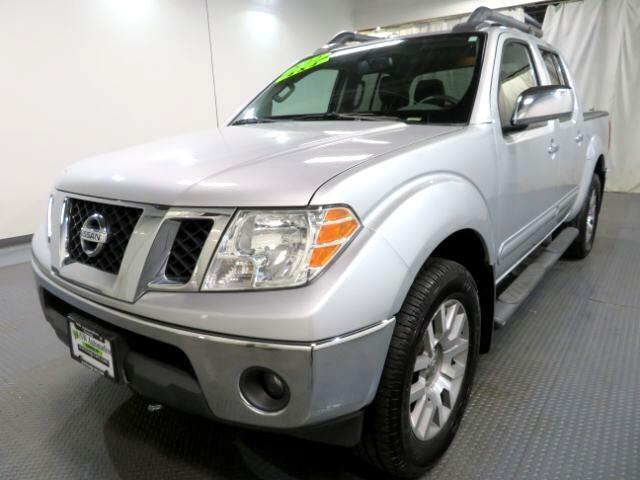 As for the ready part, the Frontier is offered in enough different variants that it''''s capable of filling a wide variety of roles: affordable work truck, tough off-road explorer and occasional family transporter. Credit for this flexibility goes in part to the Frontier''''s rugged construction, powerful V6 engine and relatively agile handling. The long list of standard features and available options also makes it possible to tailor the basic vehicle to match your intended use. If there''''s a significant downside, it''''s that the rear seats are rather upright and consequently uncomfortable, especially in extended-cab versions ***Internet special. Price reflects discount for cash buyers. Traditional and special financing is available for qualified buyers. Please contact us first for availability as our cars go fast at near wholesale prices. Prices are subject to change. Sales Tax, Title, License Fee, Registration Fee, Dealer Documentary Fee, Finance Charges, Emission Testing Fees and Compliance Fees are additional to the advertised price. All options and condition of the vehicles must be verified with the dealer, any descriptions or options that are listed maybe incorrect due to automatic data transfer.